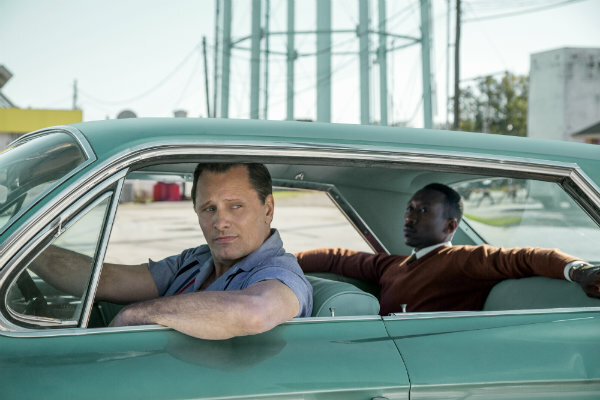 Green Book (Universal Pictures) won the Producers Guild’s coveted Darryl F. Zanuck Award, topping nine other nominated features at a gala evening ceremony on Saturday (1/19) in Beverly Hills. Green Book is hoping to follow the predominant Guild storyline which has seen the Zanuck winner match the Best Picture Oscar recipient 20 times over the past 29 years; this was the case last year with The Shape of Water. Based on a true story, Green Book introduces us to Dr. Don Shirley (portrayed by Mahershala Ali), a world-class African-American piano virtuoso who’s about to embark on a concert tour in the Deep South in 1962. In need of a street smart driver and protector, Shirley recruits Tony Vallelonga, a.k.a. Tony Lip (Viggo Mortensen), an Italian-American bouncer who knows how to get out of a jam. Though they’re from different worlds, the two men connect and form a bond while encountering racism and peril during an era of segregation. The other nine features nominated by the Producers Guild were: Black Panther, BlacKkKlansman, Bohemian Rhapsody, Crazy Rich Asians, The Favourite, A Quiet Place. Roma, A Star is Born, and Vice. Joining Green Book in the feature categories winners’ circle were: Won’t You Be My Neighbor? (Focus Features) which scored the award for Outstanding Producer of Documentary Motion Pictures; and Spider-Man: Into the Spider-Verse (Sony Pictures), toping the Animated Theatrical Motion Picture category. On the television front, The Americans (FX) won for Episodic TV-Drama while The Marvelous Mrs. Maisel (Amazon) earned distinction as the Outstanding Producer of Episodic TV-Comedy. Other TV honors went to RuPaul’s Drag Race (Logo) for game and competition television, Anthony Bourdain: Parts Unknown (CNN) for non-fiction television, and The Assassination of Gianni Versace: American Crime Story (FX) for limited series. Sesame Street (PBS) won for children’s programming, Being Serena (HBO) for sports program and Comedians in Cars Getting Coffee (Netflix) for short form. Amy Sherman-Palladino, creator of The Marvelous Mrs. Maisel as well as Gilmore Girls, was presented a special honor, the Norman Lear Achievement Award in Television. Lear himself presented the Guild’s Visionary Award to black-ish creator Kenya Barris.